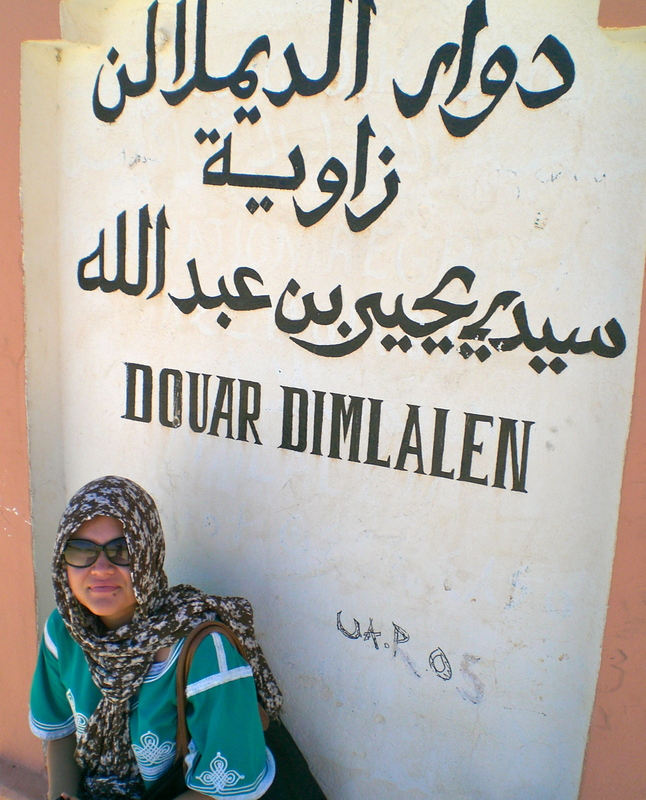 After the coast, we headed inland to the Anti-Atlas town of Tafraout. 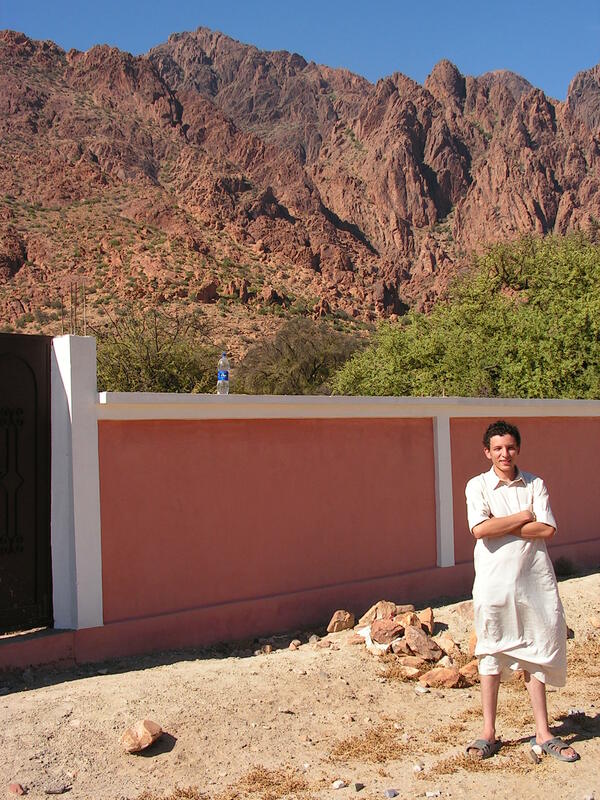 We traveled by grand taxi via the narrow, winding mountain road, the taxi driver blasting Moroccan pop and whipping around corners. The man sitting next to me was gripping the seat in front of him by the end of the ride, occasionally tapping the driver’s shoulders and telling him in vain to slow down. 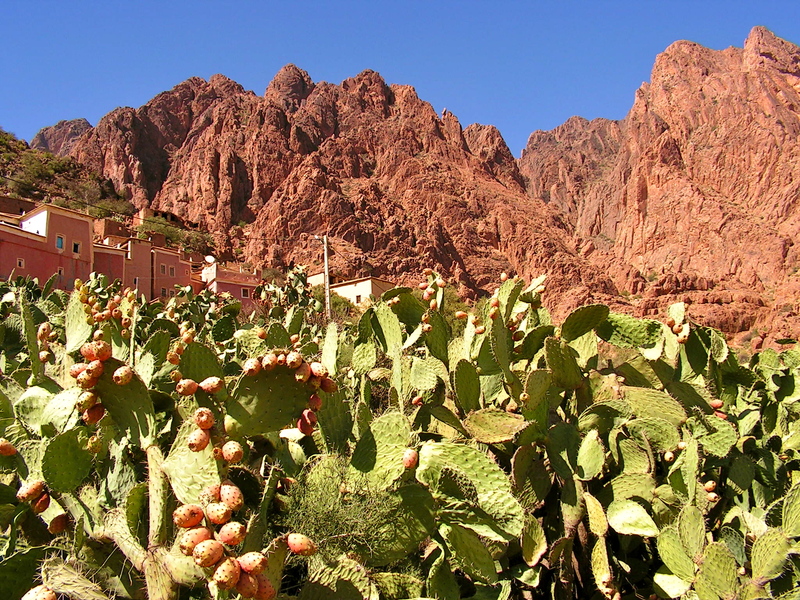 The landscape in the Tafraout area is dramatic: massive rounded red boulders stacked on top of one another, argan trees, prickly pear cacti. Tourists like to rent bikes to explore the area but the sun was just too intense for me. 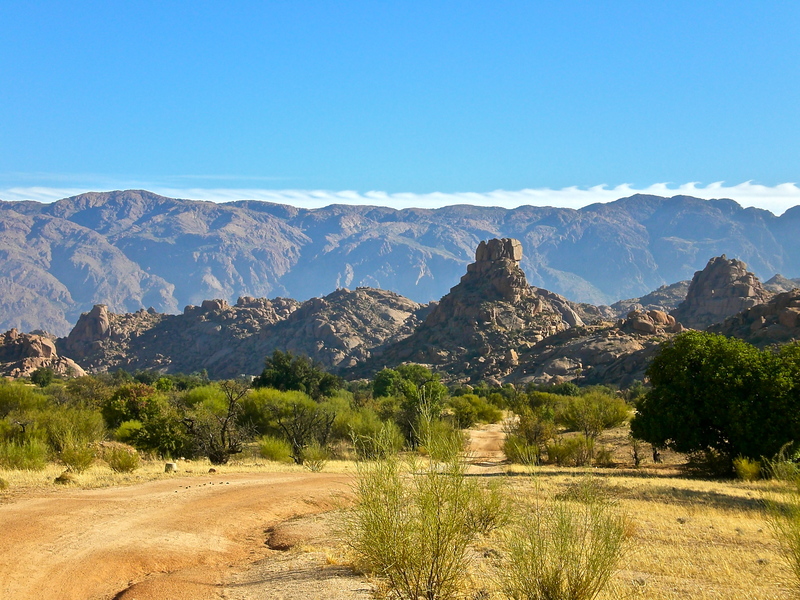 Instead, one morning we set off for a hike outside town at 7:00am to see the painted rocks. 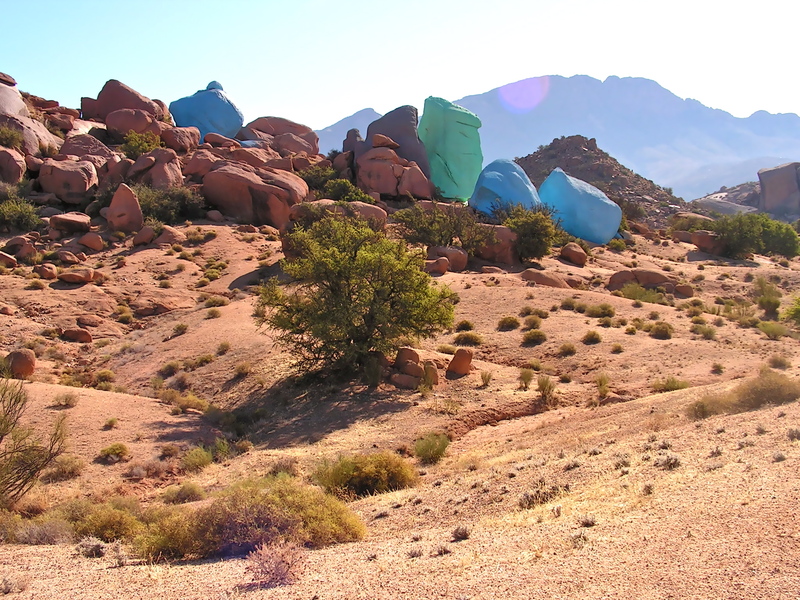 In the 80’s a Belgian artist thought he could improve on nature and painted a cluster of boulders different colors. I guess they’re pretty cool. 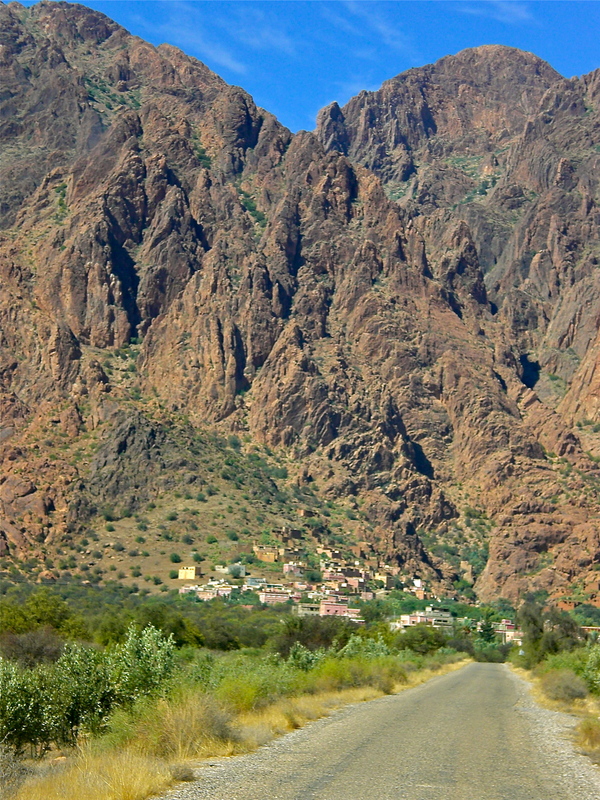 A few kilometers north of Tafraout is the Amlen Valley and a handful of small Amazigh (Berber) villages. Jewish communities had lived in the area since the 6th century BC, although there are no Jews left in the area now. We did meet a friendly guy who showed us the way to an ancient Jewish walled cemetery. Our friend and the walled Jewish cemetary. The cemetary looked like a field of stones. Must be very old. We caught local transport, which was just a car and a driver that charges a few dirhams a seat to take travelers between Tafraout and the villages in the valley. I felt like we were a true Moroccan couple while waiting for the taxi to leave: Roger standing by the hood of the car, chatting with the men, and me waiting inside with the women, giggling at the men’s silly conversation. Waiting for transport in the shade of a town marker. Thankyou for sharing your good writing and very nice pictures. I enjoy it very much.